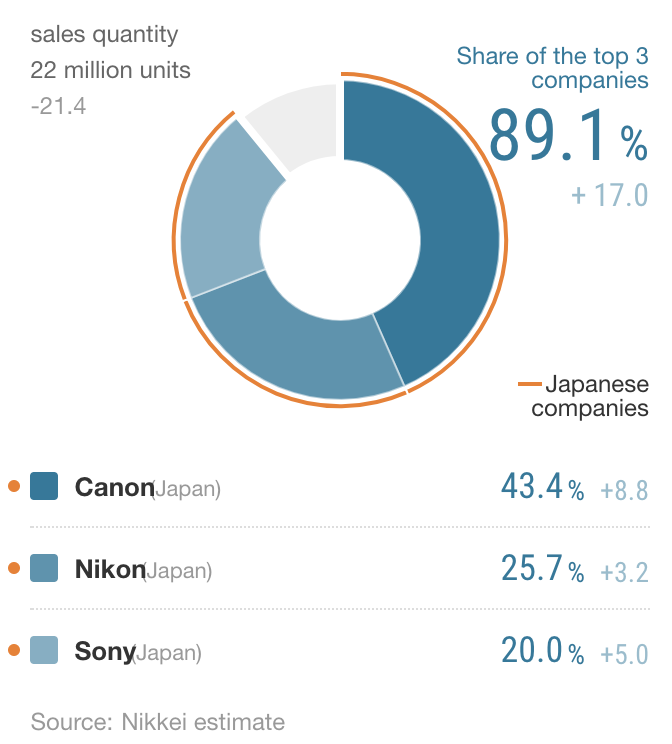 All other companies combined have less than a 13% market share (the top 3 camera manufacturers gained 6.2% in 2018 to a total of 87.3%). 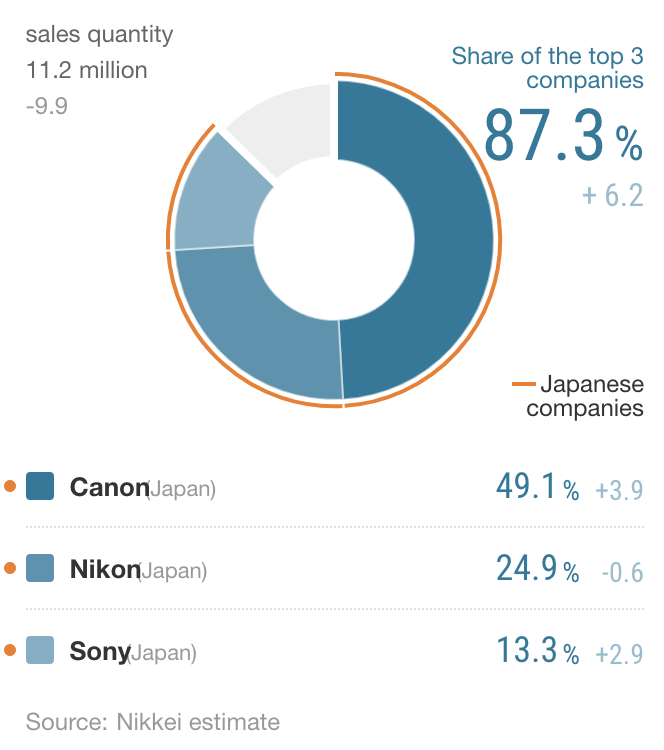 While Canon and Sony gained market share (3.9% and 2.9%), Nikon lost 0.6%. 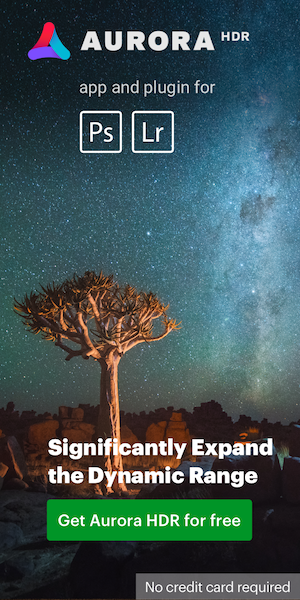 This entry was posted in Other Nikon stuff and tagged interchangeable lens camera market share report, Nikkei. Bookmark the permalink. Trackbacks are closed, but you can post a comment.